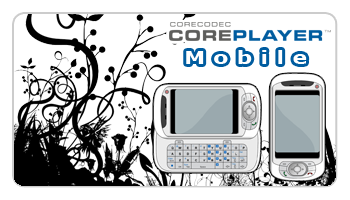 Coreplayer has been a longtime favourite of the PalmOS community (not to mention Windows Mobile and Symbian). Its vast collection of codecs, expansive options, and quick speed have made it arguably one of the best video players for the PalmOS, and now it looks like we may be seeing Coreplayer, in some form, on the WebOS. If we do release it for Palm... it might be released as a 'last time thank you' for their support... but note that we are already migrating to the Pre's WebOS. The other thing that why some Palm ppl might still want it on their older devices is the new touch UI. We are doing the same thing that we have always done... but mostly for our OEM customers with CorePlayer API for Linux.... utilize the CORE of CP in API form to fully integrate it into the WebOS UI. In other words we are playing nice and will not being using our CoreUI interface we use for all the other platforms we support. On the hardware side of things... this is where I don't want to say much atm, but we do plan to support the native codecs when ever possible, no diff then we do now for all our other platforms. On the SDK... we are hopeful that with each release it matures and that Palm (like Android) has a nice roadmap for native apps.... and when its ready, so are we. Hopefully we'll see Coreplayer for the WebOS before the next generation Pre gets announced. Perhaps CoreCodec could consider homebrew for the early basic releases, similar to TCPMP before going fully retail.